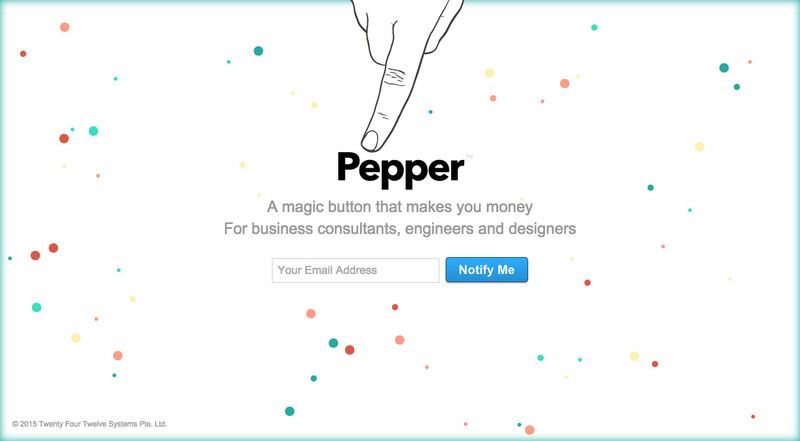 Launching soon page for Yong Fook‘s new startup, ‘Pepper’. It’s simple but lovely touch with the “press button” effect triggering the colorful dotted background – this ties in perfectly with his teaser tagline “A magic button that makes you money”. Check out Yong’s latest blog on lessons he learnt in SaaS – of course related to building Pepper. A "magic button" for engineers and consultants, launching next month in private beta and publicly soon after that.